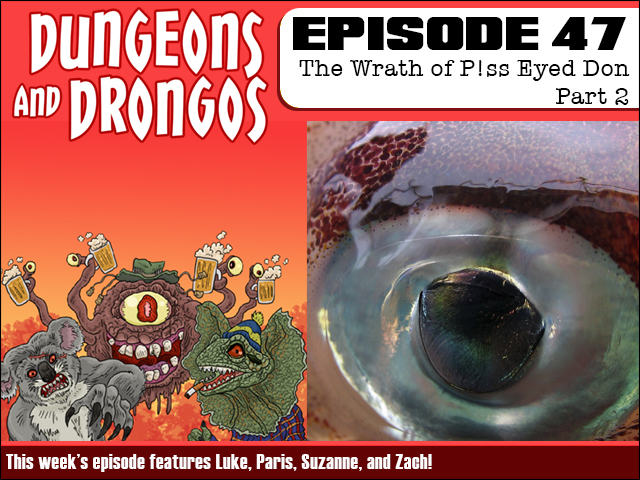 Fruitless Pursuits: Dungeons and Drongos Episode 47: The Wrath of P!ss Eyed Don Part 2! Dungeons and Drongos Episode 47: The Wrath of P!ss Eyed Don Part 2! Guest Dungeon Master Suzanne (Aka McKenzie) wraps up her adventure this week as Wenzo, Plank and Gadai attempt to escape the mysterious horror-filled statue of P!ss Eyed Don and restore the magic to Floggerton! But does something even worse await them on the outside? It's Dungeons and Dragons set in Fantasy Australia, cobbers!